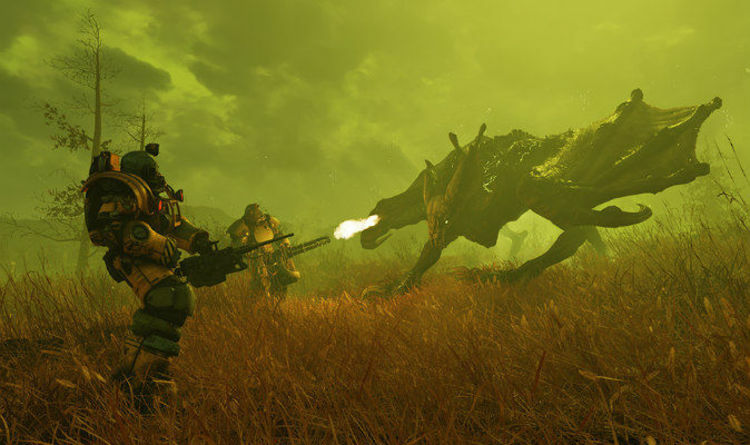 Home / غير مصنف / Fallout 76 release date times: When does Fallout 76 come out on PS4 and Xbox? Fallout 76 release date times: When does Fallout 76 come out on PS4 and Xbox? There’s been plenty of chance to try out Fallout 76 before its official release date on Wednesday, November 14. By pre-ordering the game, players have been able to join beta sessions of the game on all platforms. These didn't run for long periods of time but did include nearly all the base content which will be available on release day. WHEN DOES FALLOUT 76 COME OUT ON PS4 AND XBOX? As mentioned above, the Fallout 76 release date has been set for Wednesday, November 14. And the good news is that fans won’t be waiting around all day to jump onto the live servers. That’s because Bethesda will be turning on the PS4, Xbox One and PC servers very quickly on launch day. According to the latest news from Bethesda, most players will be able to start their post Apocalyptic adventures at around midnight. For those in the UK, the Fallout 76 release time has been set for one minute after midnight on November 14. This applies to players on PS4, Xbox One and PC, with other fans around the globe also getting early starts. In Australia, the Fallout 76 release time is 12:01 AEST, while North America will have a 12:01 EDT slot. The good news for players on the West Coast is that they will be able to jump in at 9:01 PDT on November 13. For players in Asia, Fallout 76 won’t technically release until November 15 in Japan, Taiwan and Singapore regions. And if you haven’t already, you can pre-load Fallout 76 on all platforms right now, so that you can try and join servers as soon as they go live. A big warning for those hoping for a smooth launch, there’s a good chance of being dumped out or facing further disruption. “A huge thanks to everyone at Bethesda and ZeniMax who supported us in making this game. Creating a new style of game has taken the best from not just our own producers, programmers, artists and designers – but great efforts from across the company. “Special thanks to our friends at ZeniMax Online, id and Arkane who helped us. And thanks to everyone in publishing, IT, Bethesda.Net, Customer Service, Admin and our incredible partners in QA. “And a special thank you to all our fans who participated in the B.E.T.A. With your help we’ve made the game better each week. It has also been confirmed that a day one patch will be part of the Fallout 76 release plan and should, therefore, be factored into any plans for playing the game on November 14.